Former Deputy Governor of Central Bank P. Samarasiri and three Directors of Perpetual Treasuries Limited (PTL) have been arrested over the bond scam, the police spokesperson said. The arrest was made by the Criminal Investigation Department (CID) under the instructions of the Attorney General. 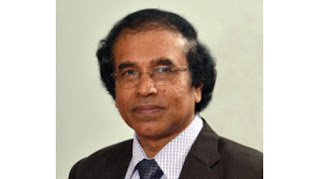 Accordingly, three Directors of Perpetual Treasuries Limited namely, Pushpamithra Gunawardena, Chithra Ranjan Hulugalla and Muthuraja Surendran have been taken into custody along with the former CBSL Deputy Governor. It was reported that they were arrested at their respective residences this morning (25). The CID is conducting further investigations in this regard.